Behind a burgeoning demand for cobalt, a key component in Lithium-ion batteries used in electronic gadgets and vehicles, is the heartrending story of tens of thousands of children, some as young as seven, involved in back breaking and hazardous mining of the precious commodity in the Democratic Republic of Congo while earning a paltry one dollar a day. 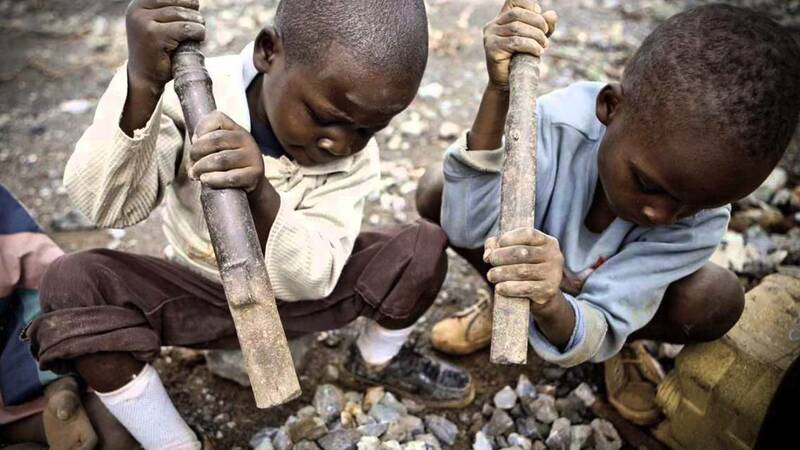 Yet this represents a small fraction of a practice now entrenched world over with studies estimating that up to one million children are working in mines globally. From the gold fields of Tanzania, Mali and Ghana to diamonds in the Central Africa Republic, these young ones will work for up to 24 hours a day digging deep pits to reach the minerals, breaking stones, and carrying heavy loads while being exposed to some of the most harmful toxins like mercury which they use to process the minerals. In the Democratic Republic of Congo for example, where more than half of the global cobalt supply comes from, child miners describe being tortured, intimidated and sometimes not being paid after a day’s hard work. A 2016 investigation by Amnesty International brought to light the harrowing experiences youngsters have had to endure to eke a living. The world is not doing enough. Most of this cobalt is bought by global tech giants including Microsoft, Vodafone, Huawei and Apple. These companies haven’t done enough to abolish child labour in their supply chain. There needs to be stricter due diligence processes from these multinationals because they are the biggest beneficiaries of these minerals. Customers should also pile pressure on manufacturers to show proof of their investment and commitment to stop child labour especially in mining. While most governments have put in place legislation to stop children from working in mines, that commitment is still in paper. Enforcement remains a pipe dream. Beyond legislation, these governments should force companies buying the minerals to make human rights due diligence a mandatory exercise at the mines. Governments should also strengthen access to education to ensure children are in school where they belong. With demand for these minerals expected to rise exponentially, leading to demand for cheaper labour, now is the time to save children.